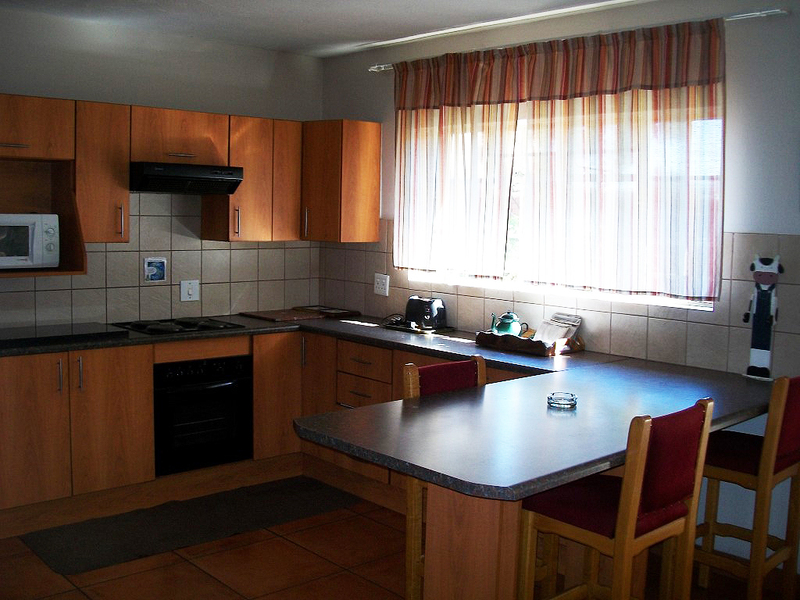 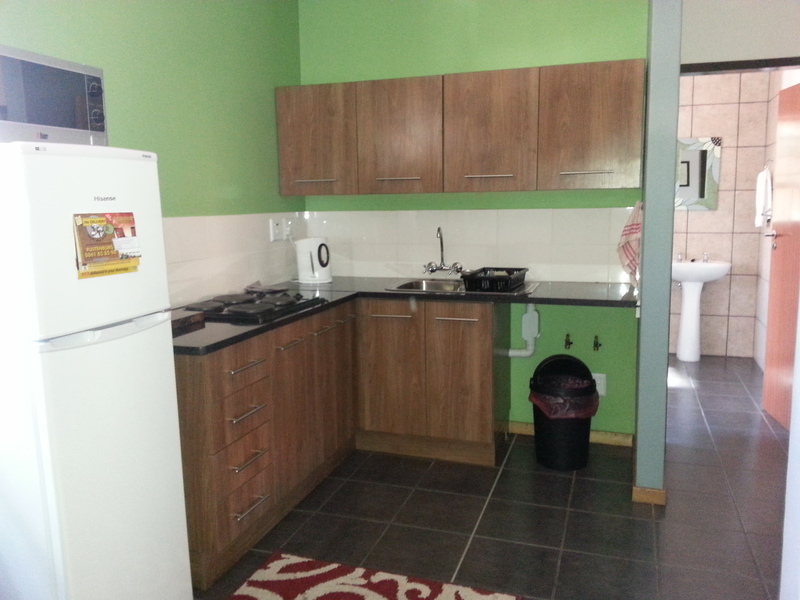 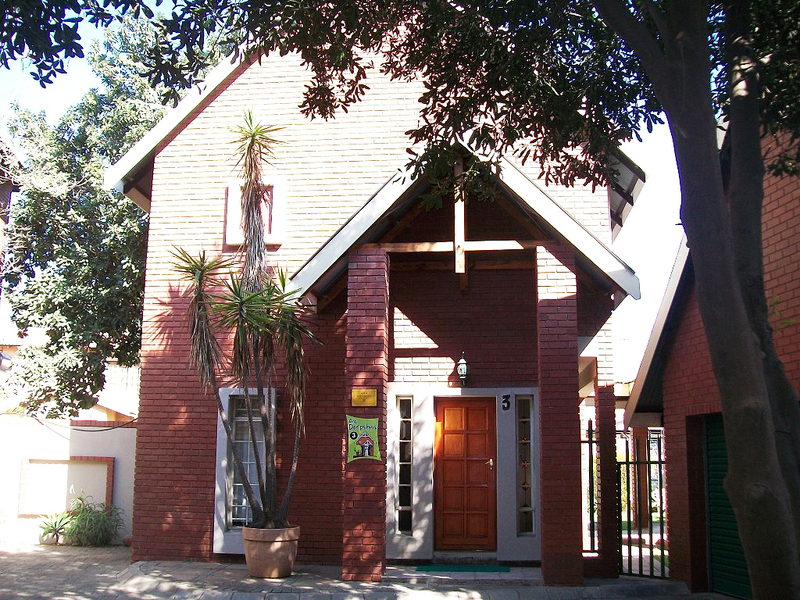 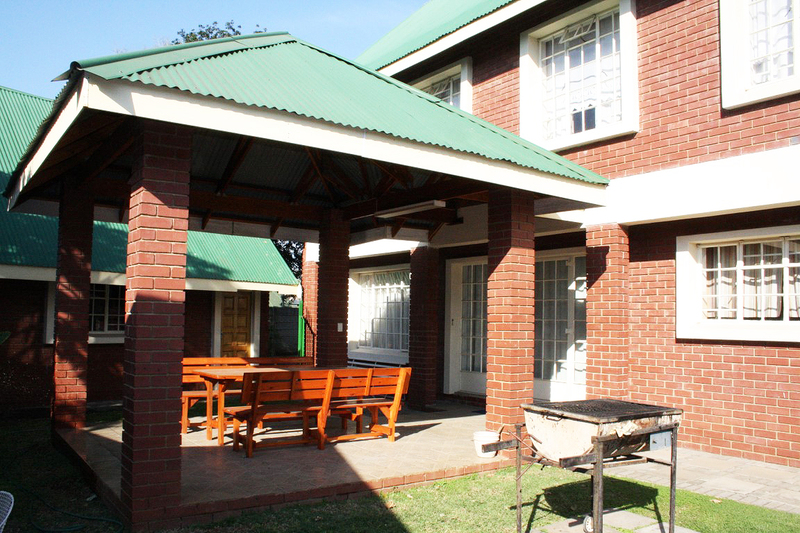 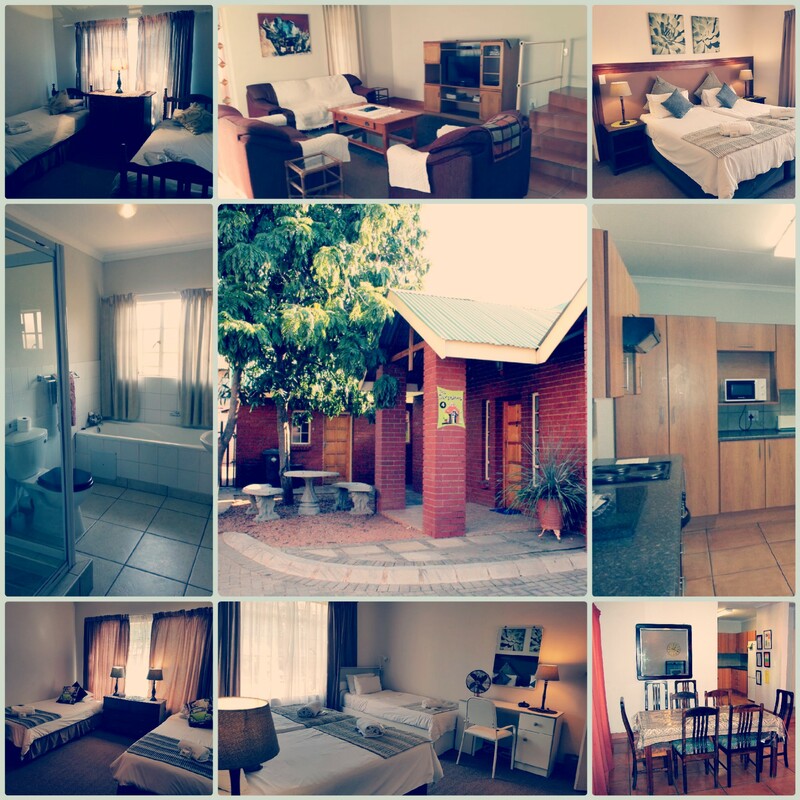 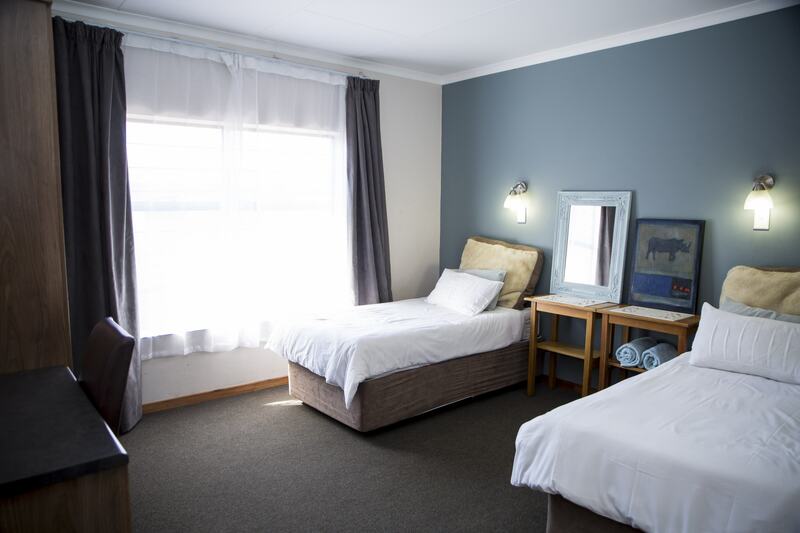 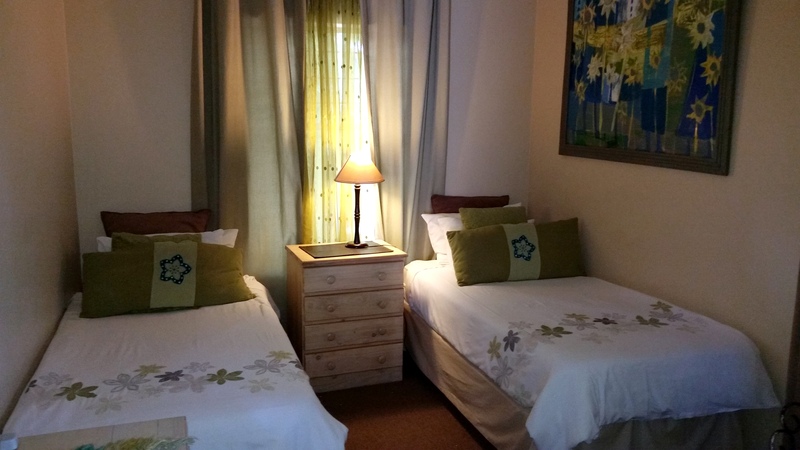 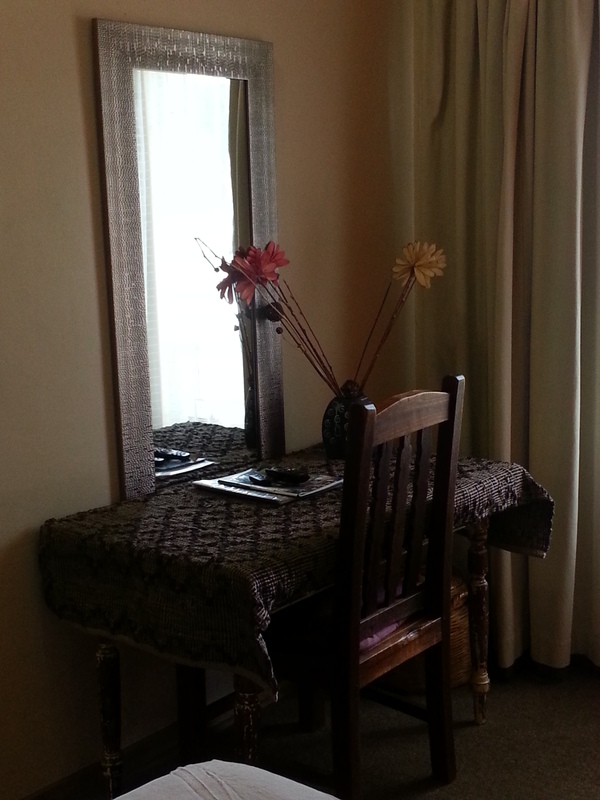 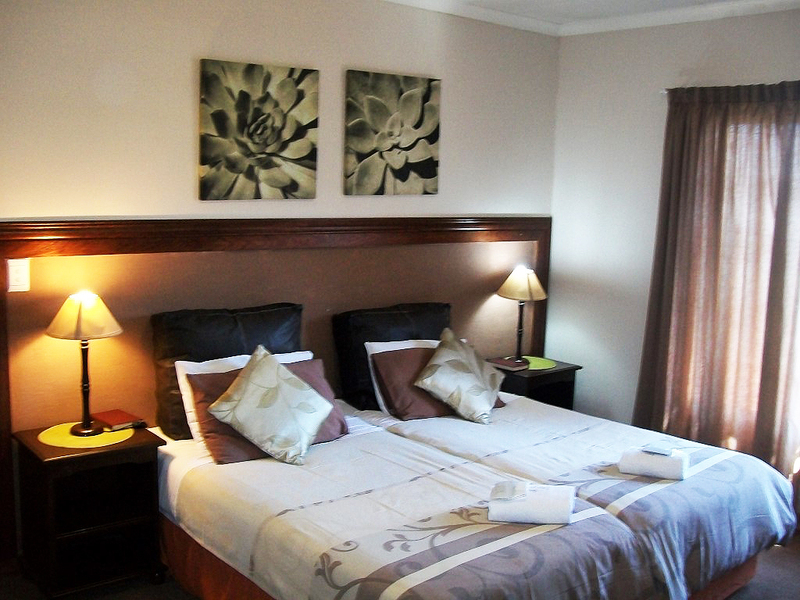 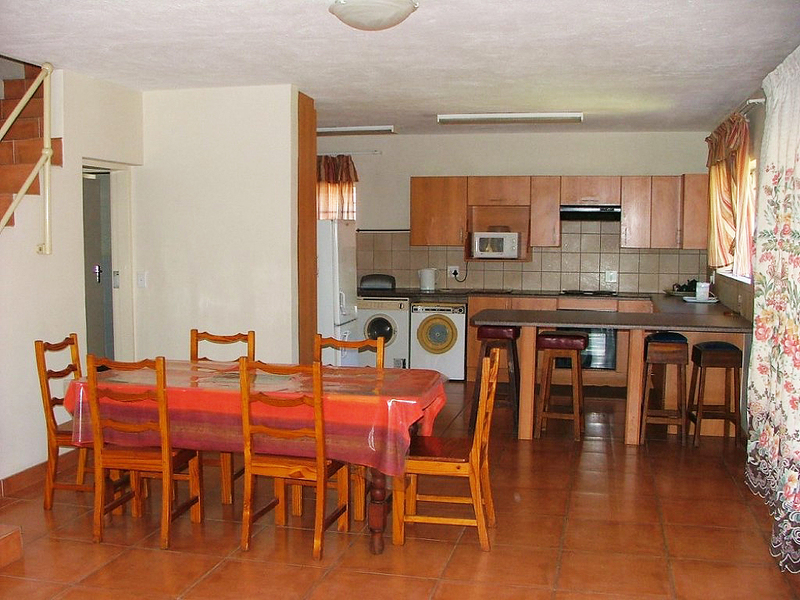 Rebuilt as 12 Self Catering uints on one stand – adjacent to Ons Dorsphuis 3 and 4. 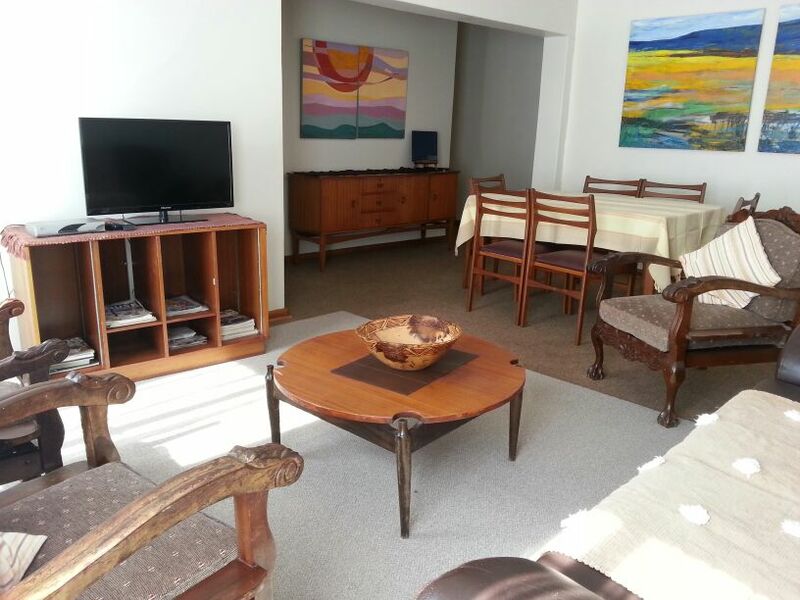 Ideal for groups of up to 32 people. 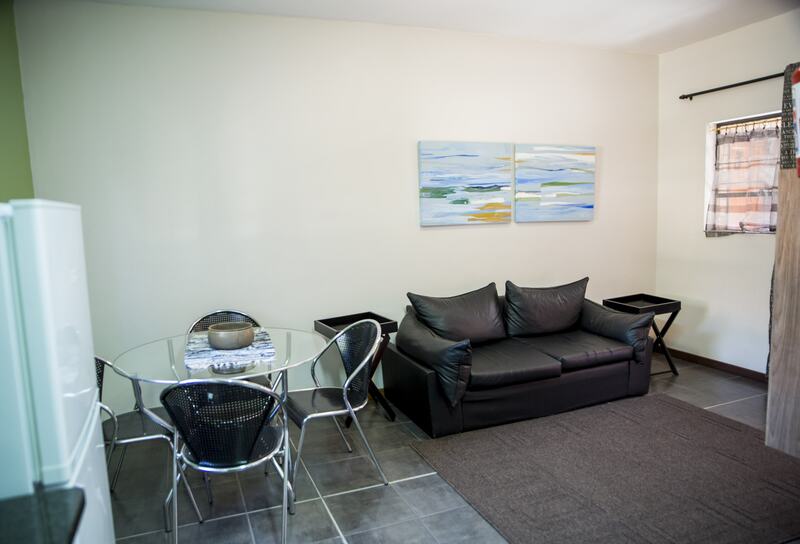 Units are fully furnished and equipped. 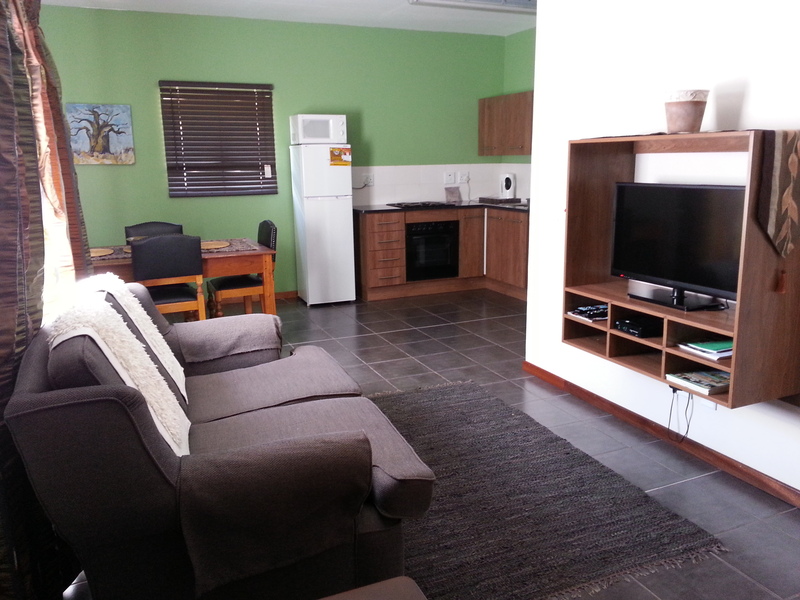 All one bedroom units have flat screen tv`s with selected DSTV channels, a kitchen, dining area and spacious bathroom with shower. 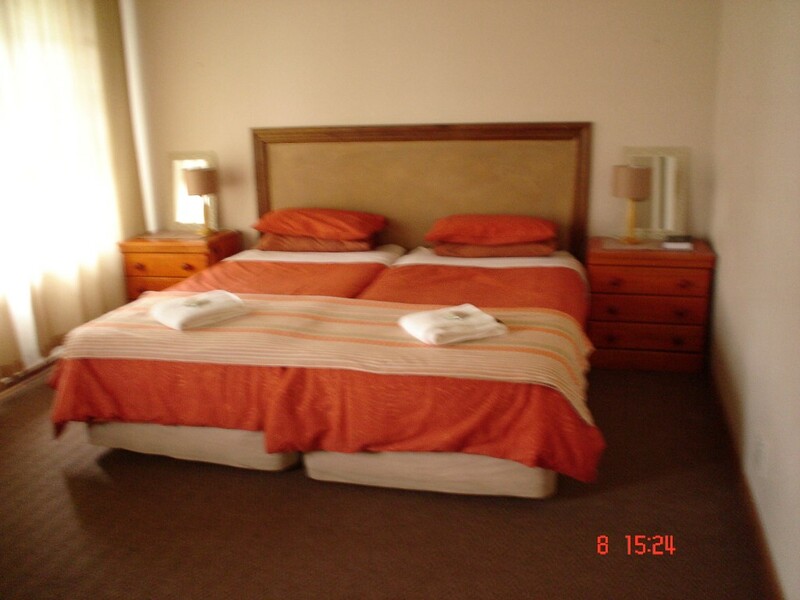 The units have twin beds in the bedrooms that can be made into King beds on request. 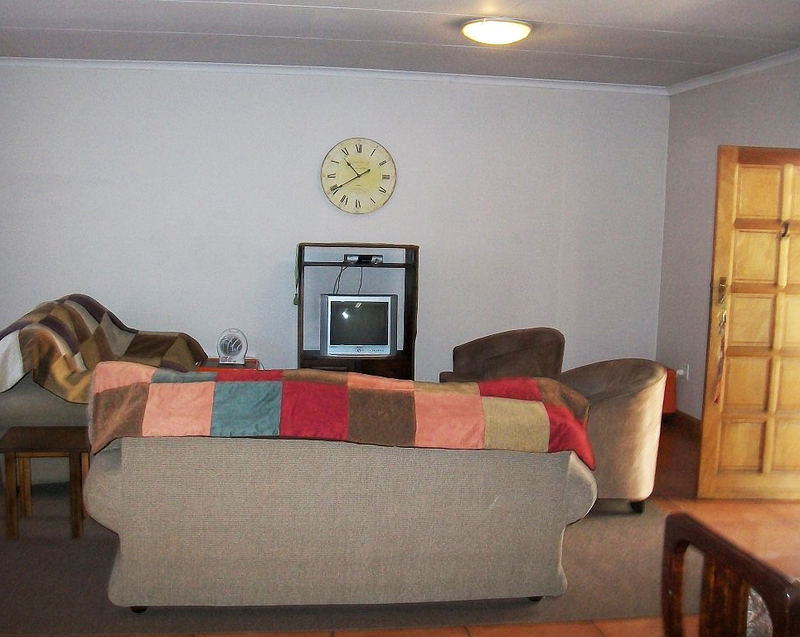 Eight of the units have a bed in the lounge area for a third guest sharing. 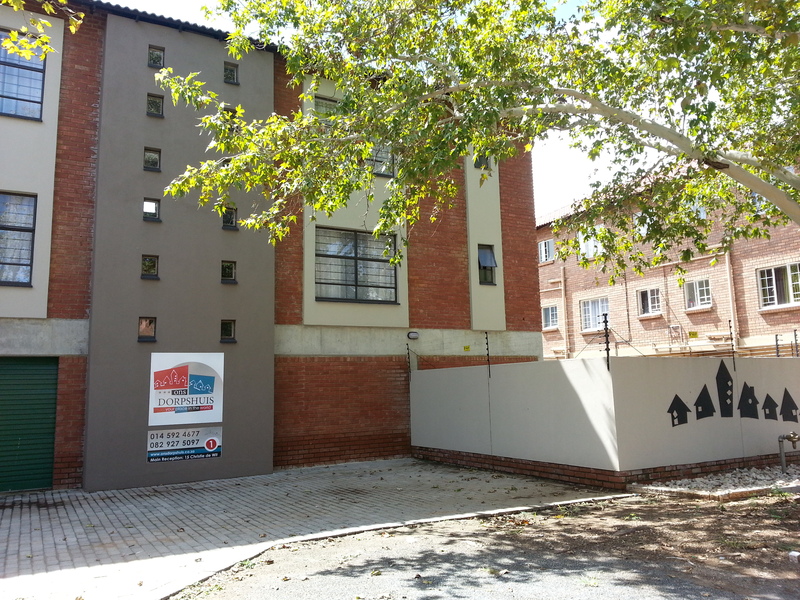 The whole complex has been fitted with an emergency electricity system to ensure adequate lighting in case of municipal power failure. 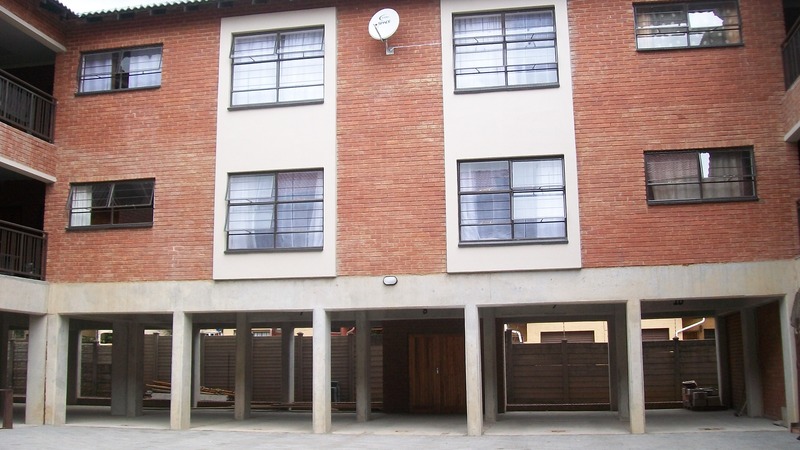 Parking is available inside the complex which is safe and secure with electric fencing and a motorised gate. 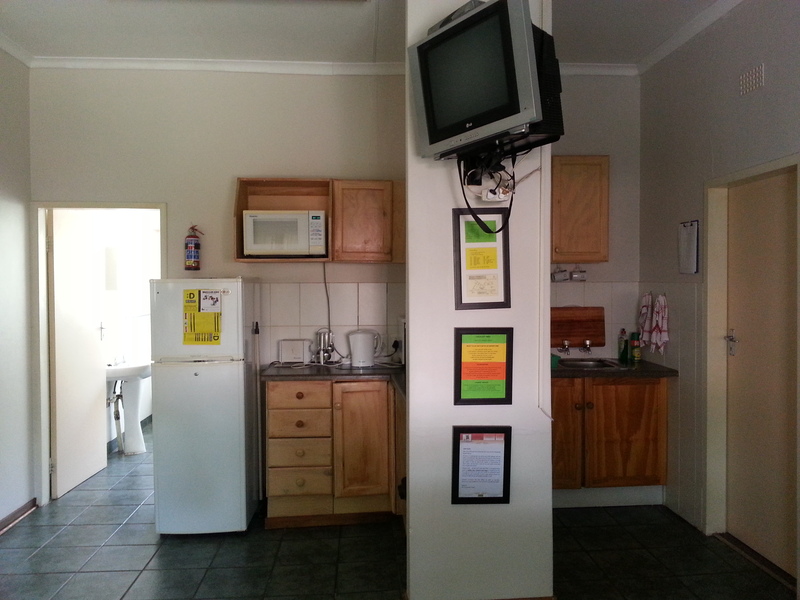 Catering for groups is possible on request. 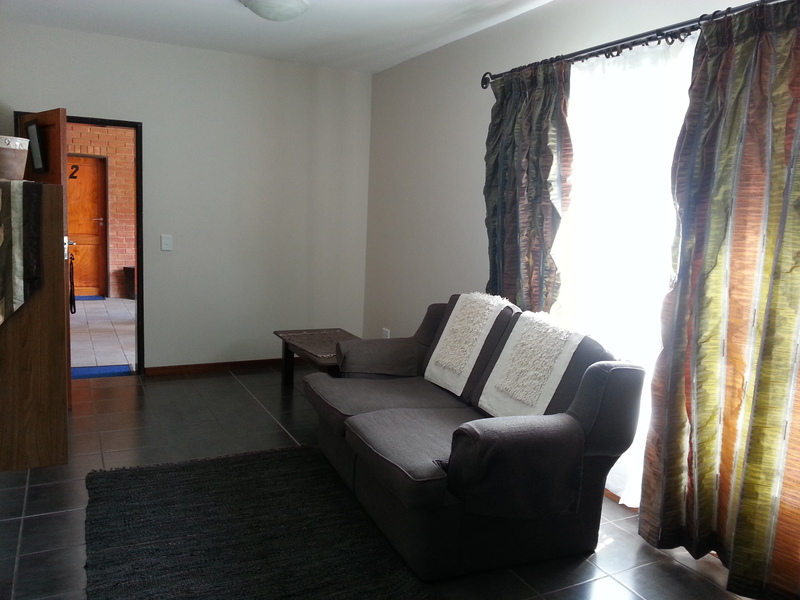 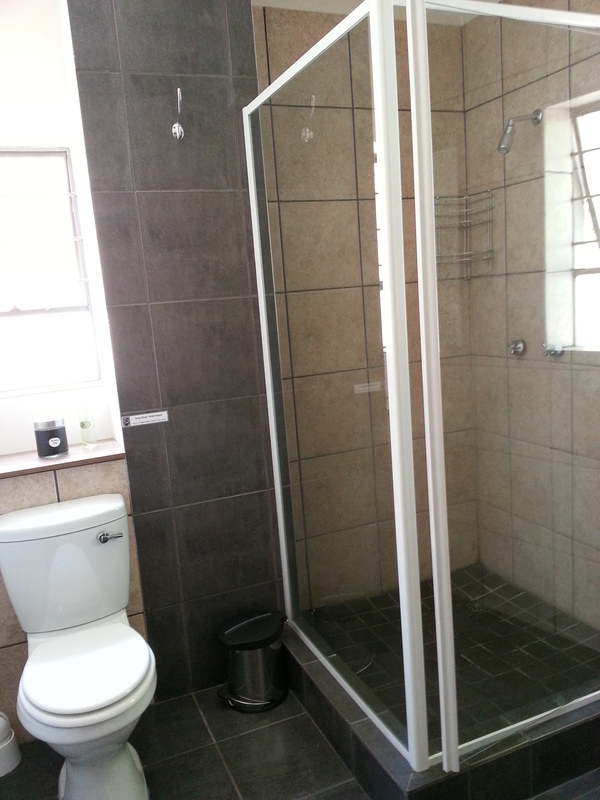 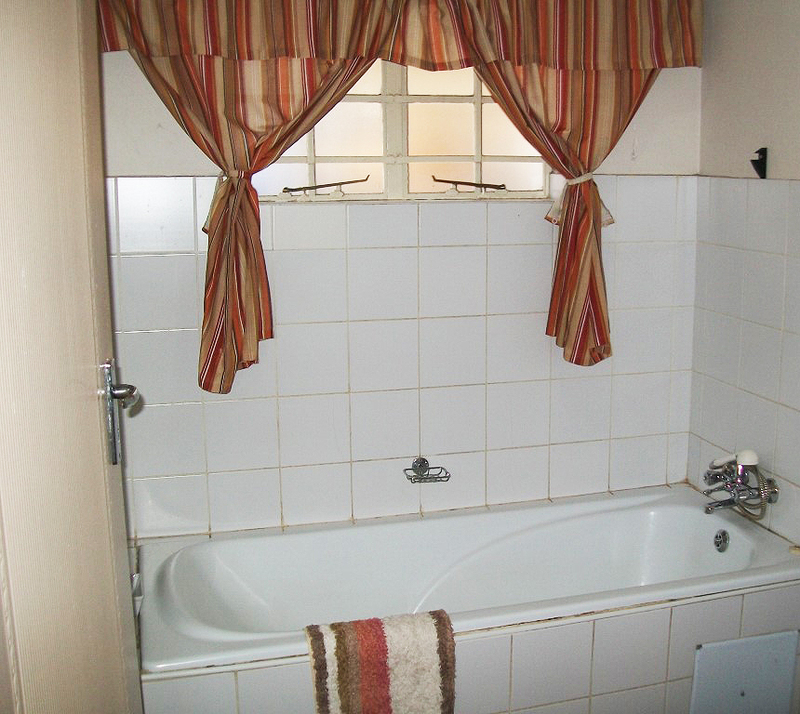 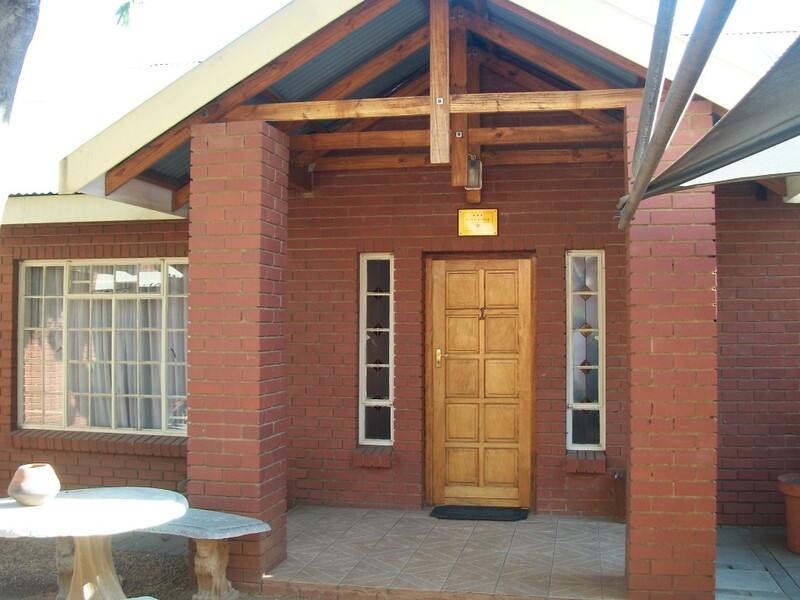 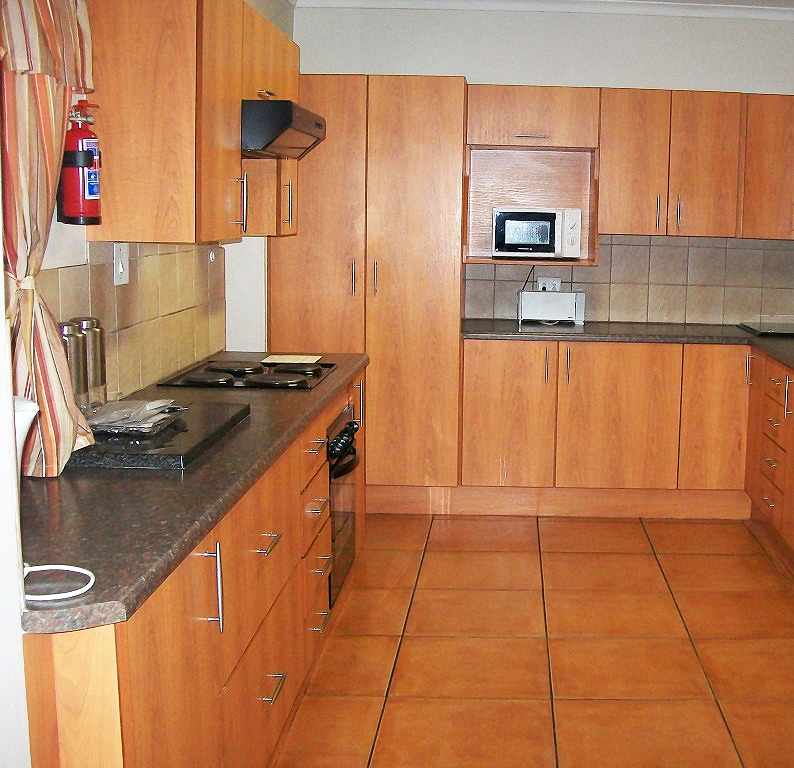 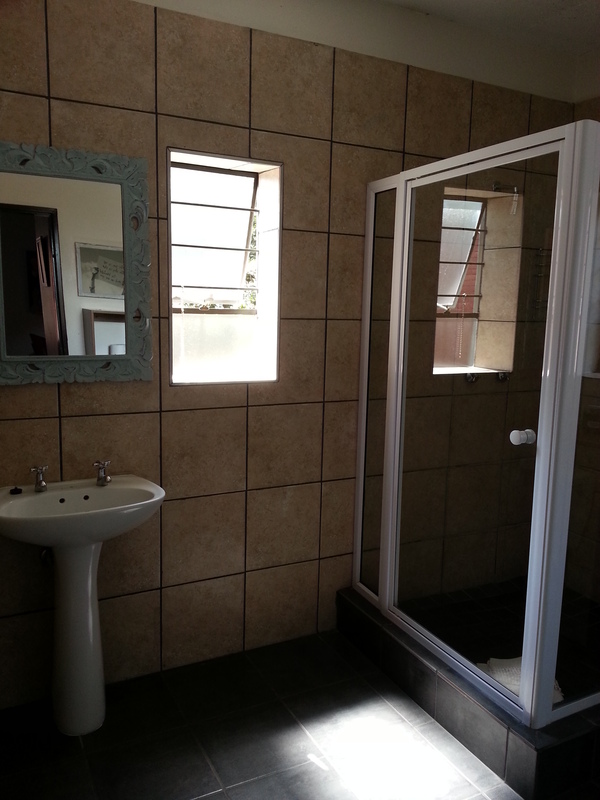 Fairly close to the Waterfall Mall, this is a spacious 2 bedroom house. 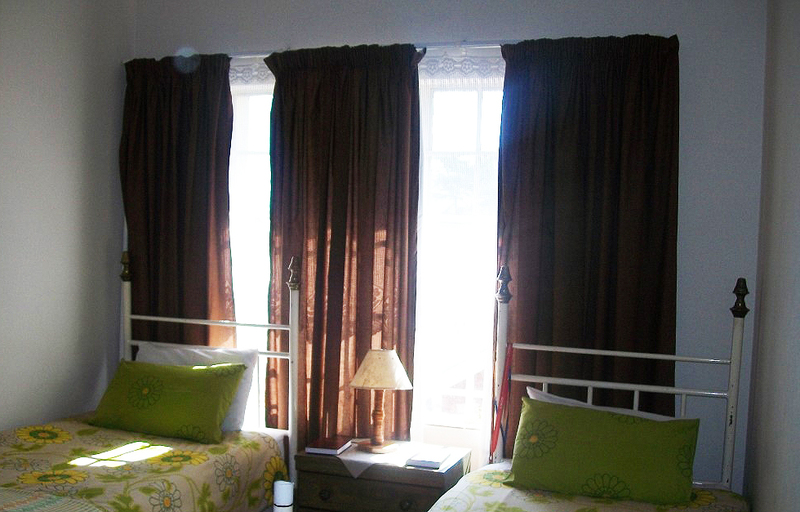 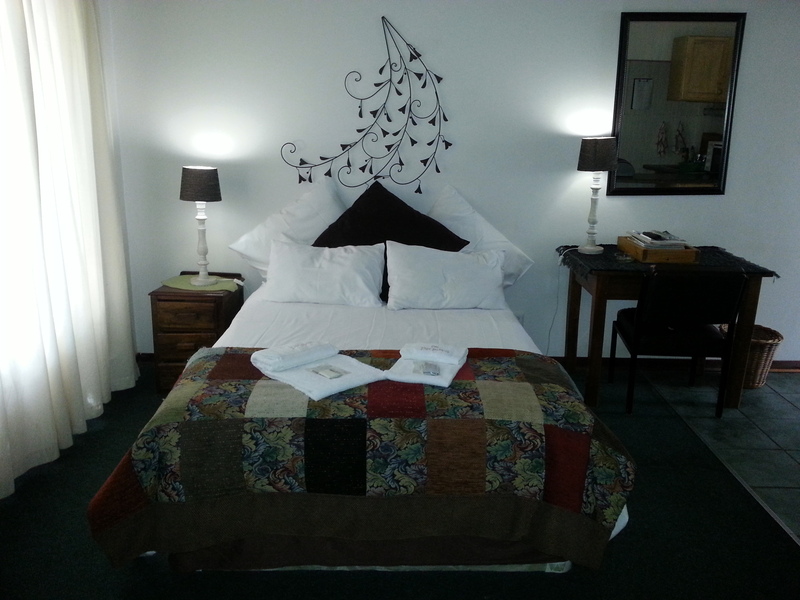 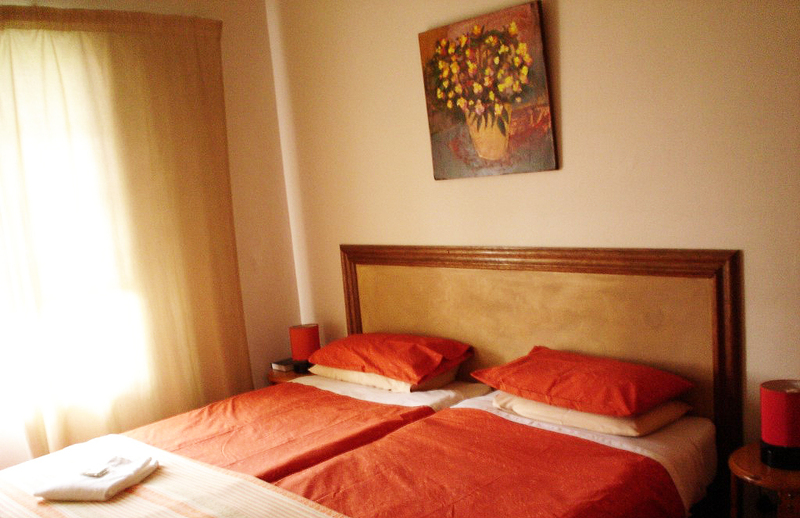 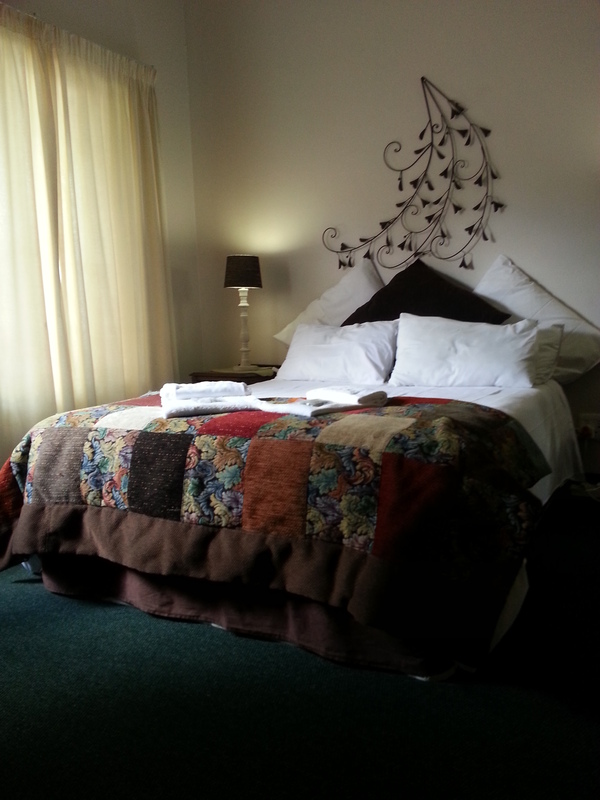 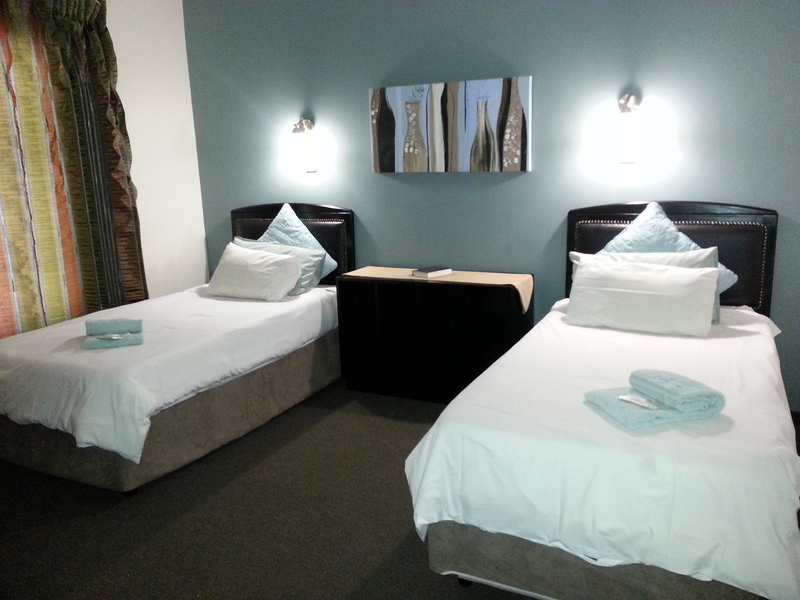 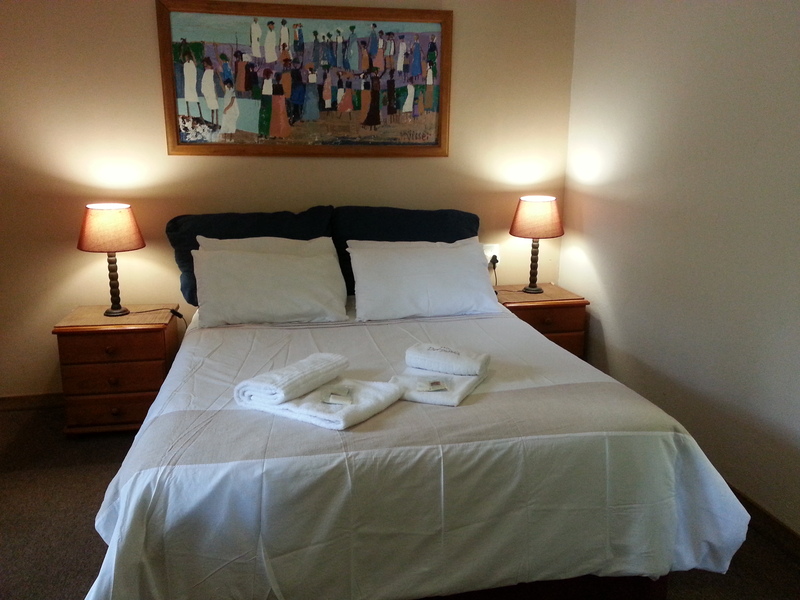 The Main bedroom has a double bed and the second bedroom has twin beds. 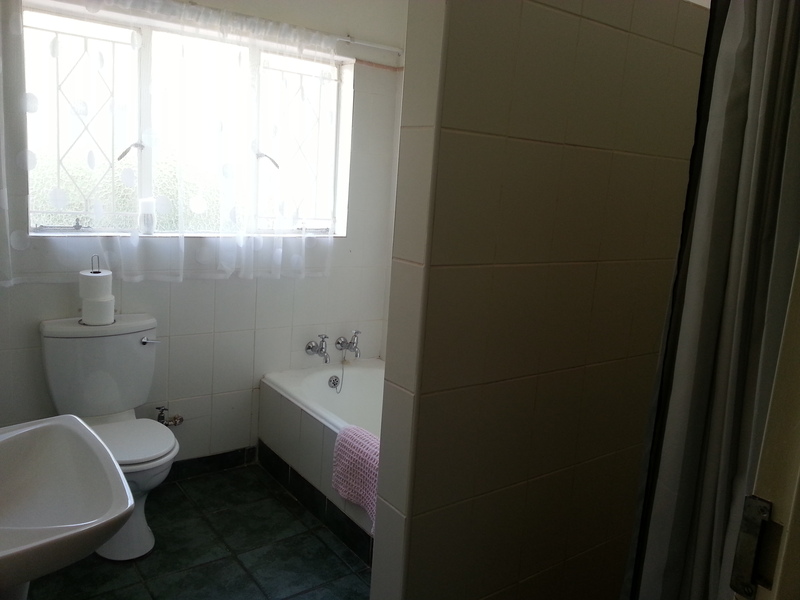 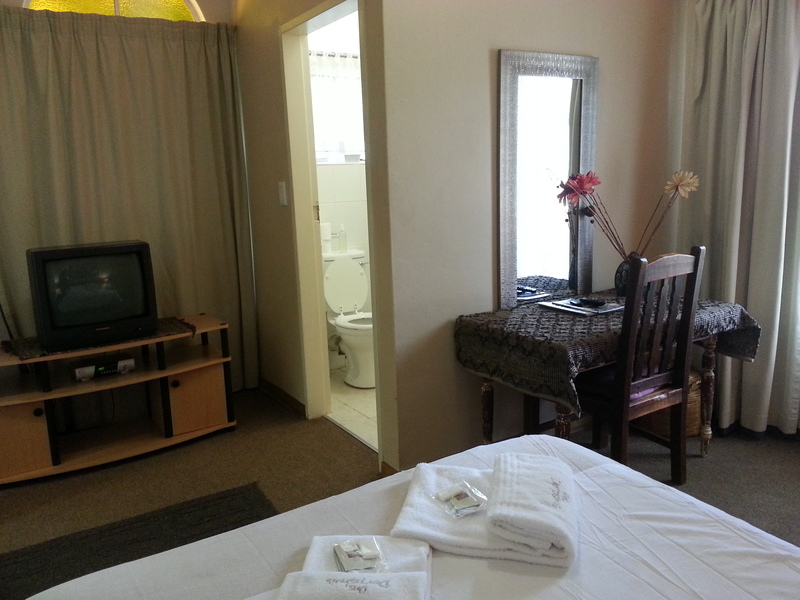 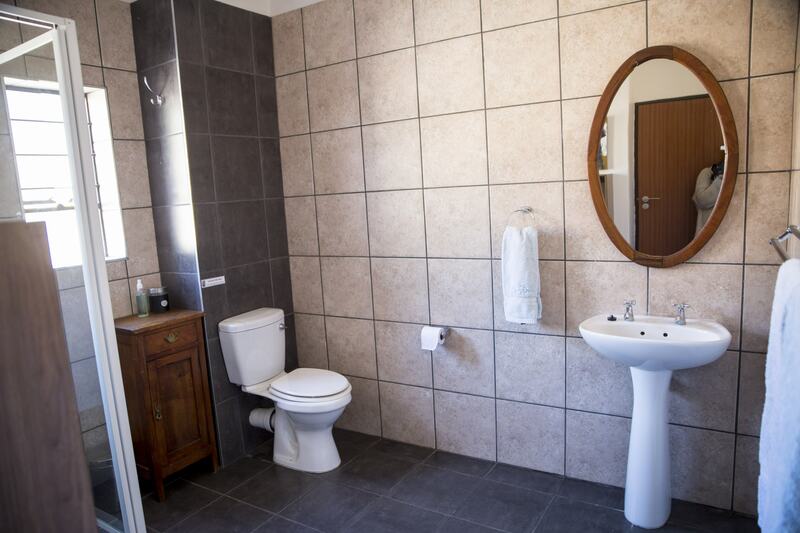 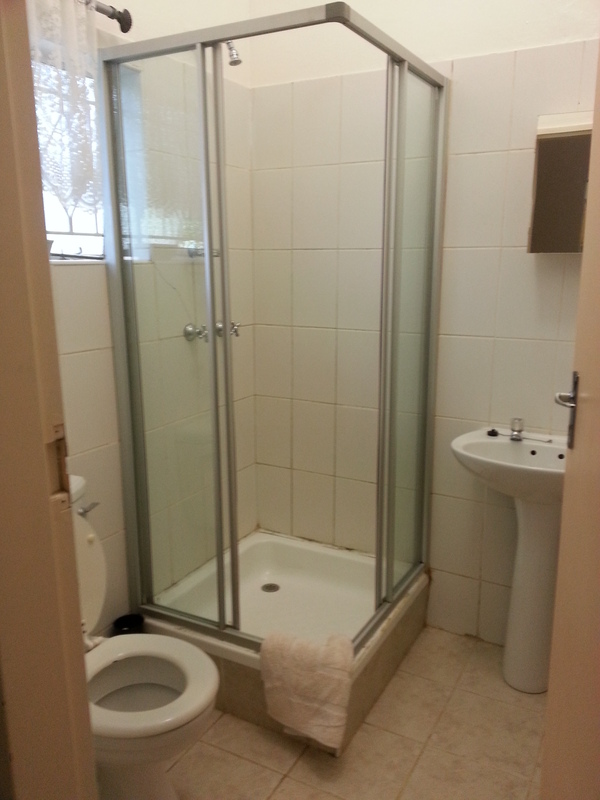 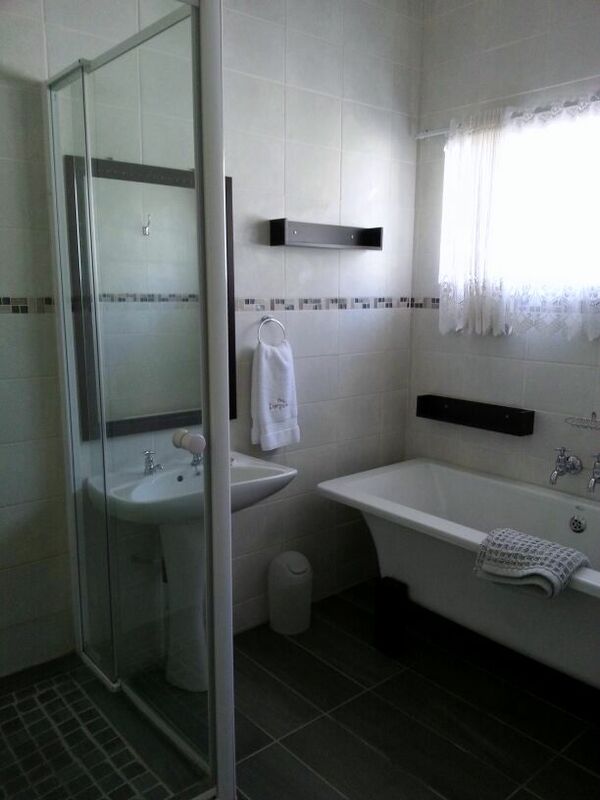 Bathroom has bath and shower with separate toilet, full kitchen, dining area, living area/ lounge. 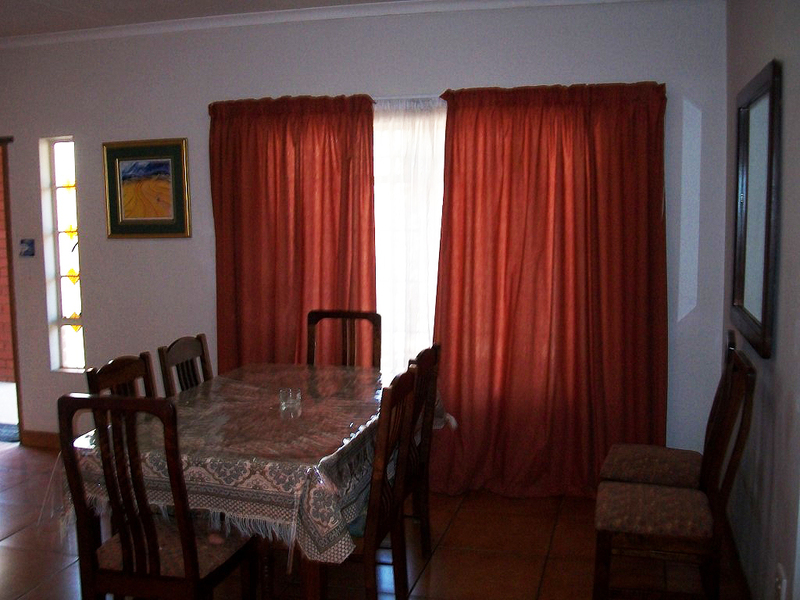 This unit has enough space in the dining area for the addition of an extra bed for a fifth guest. 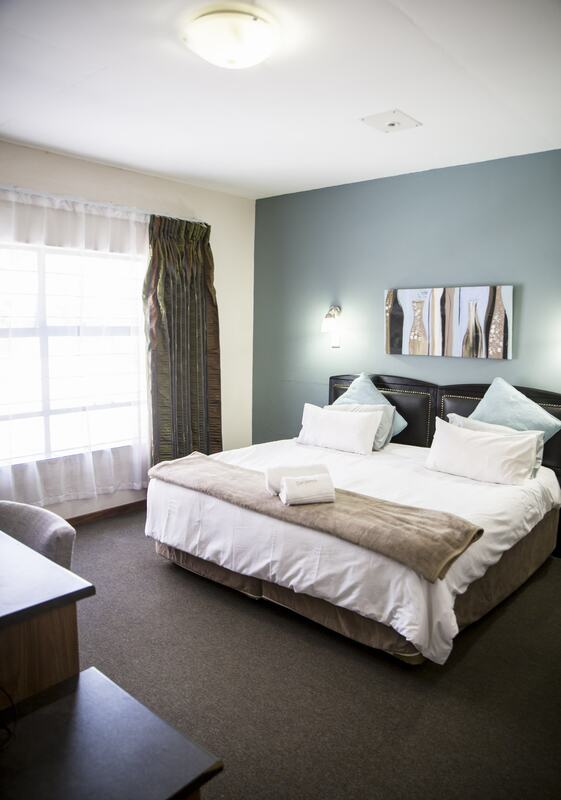 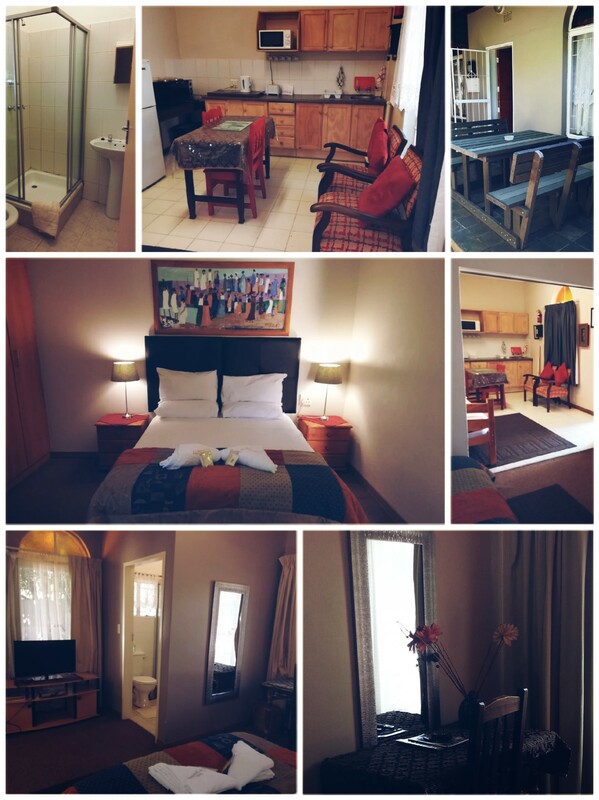 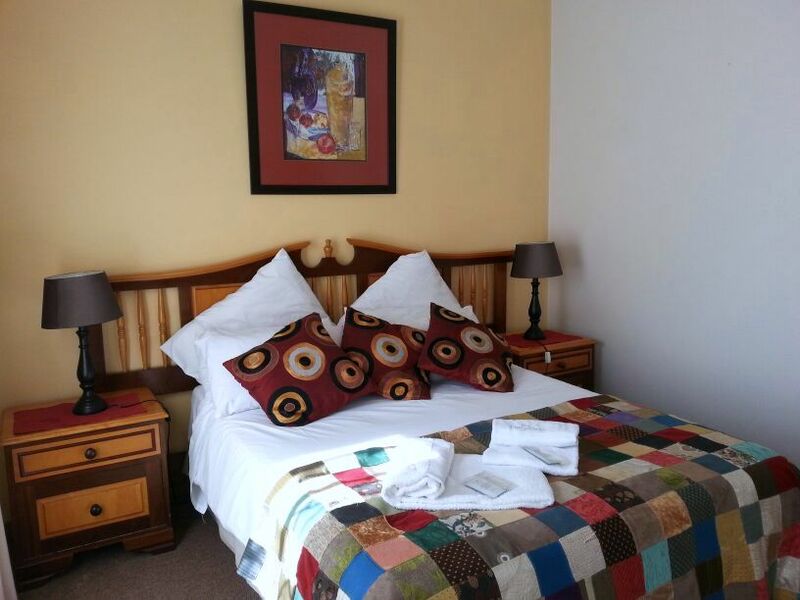 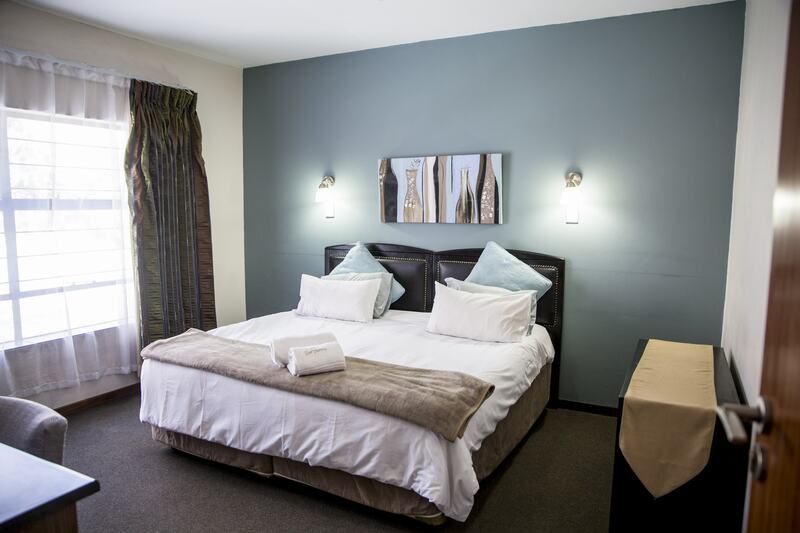 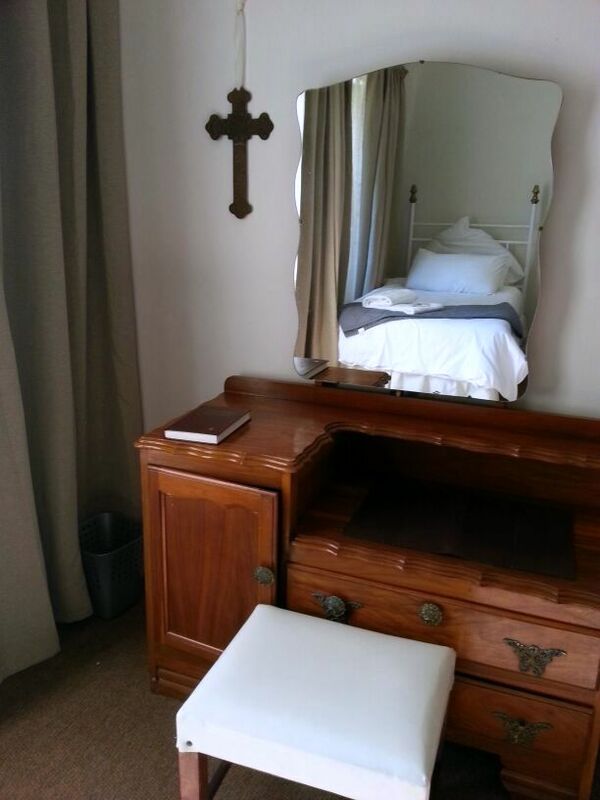 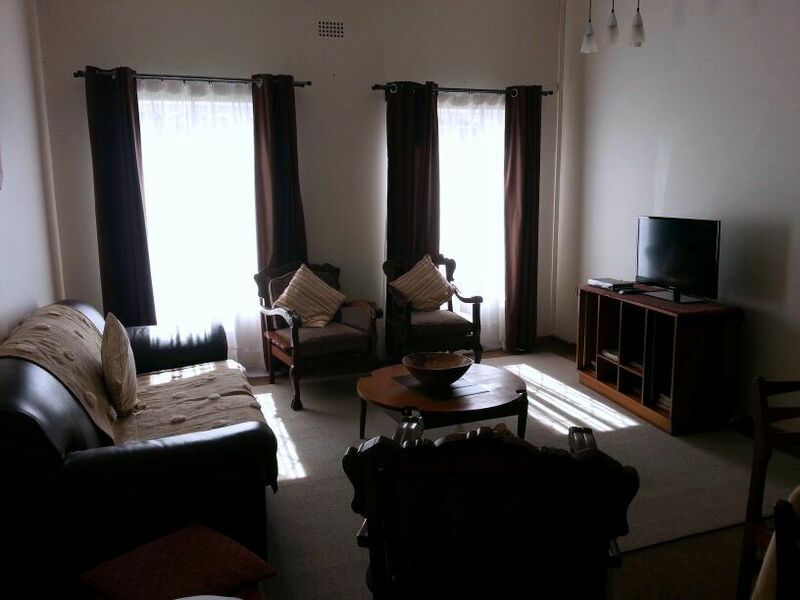 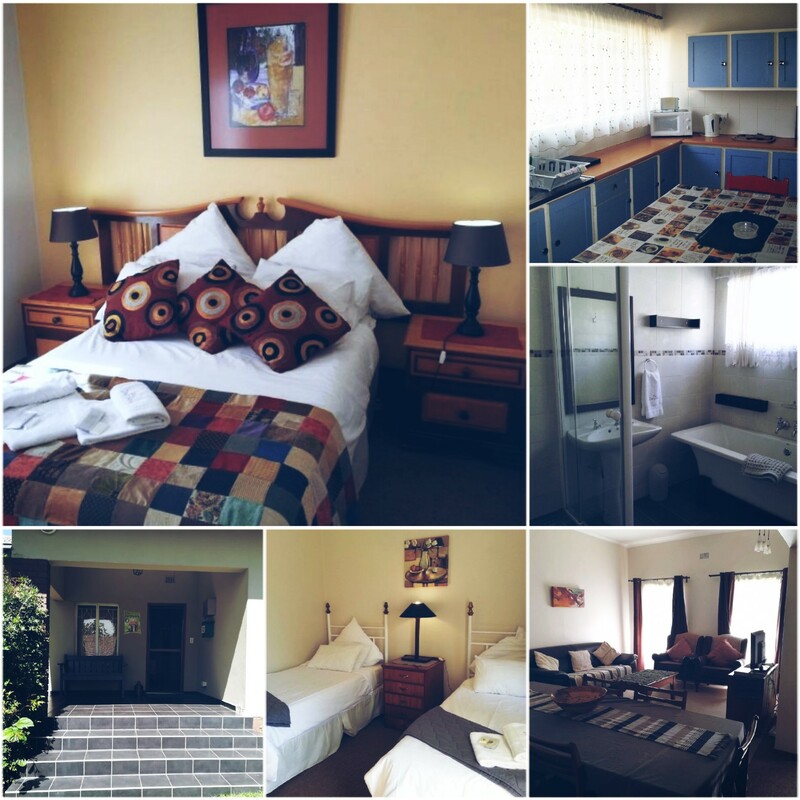 This 1 bedroom bachelor unit has a queen bed, full bathroom with bath and shower, fully equipped kitchenette making this the ideal space for a single individual staying a little longer in Rustenburg, or for a couple, wanting comfortable budget accommodation for a weekend away. 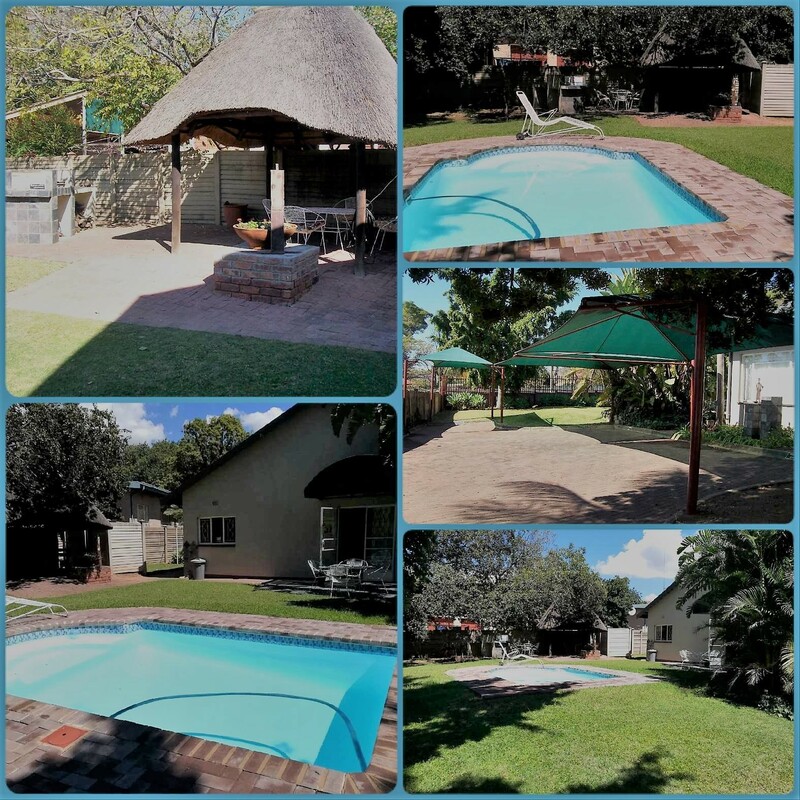 Facing the pool and braai area, makes this one bedroom unit a favourite unit with our return customers. 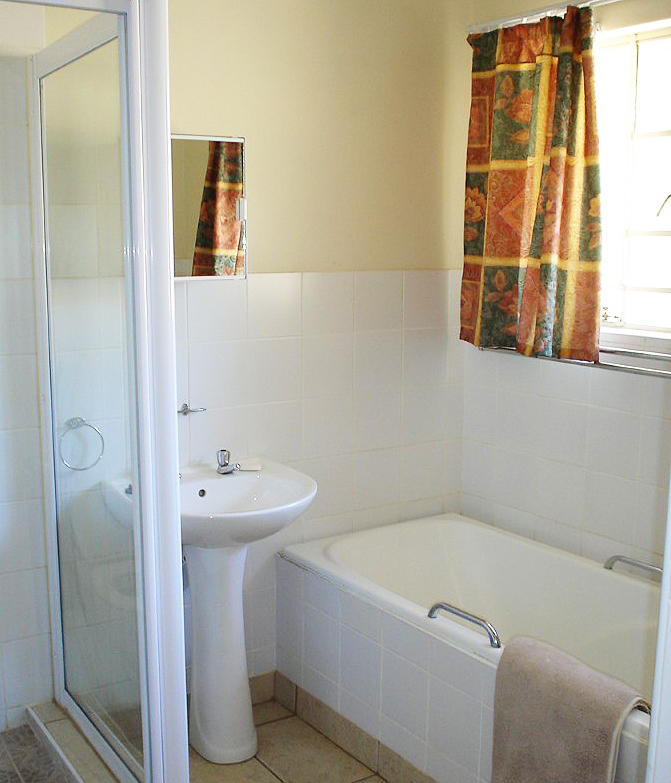 This unit has a double bed, en-suite bathroom with shower, full kitchen and dining area with living area / lounge. 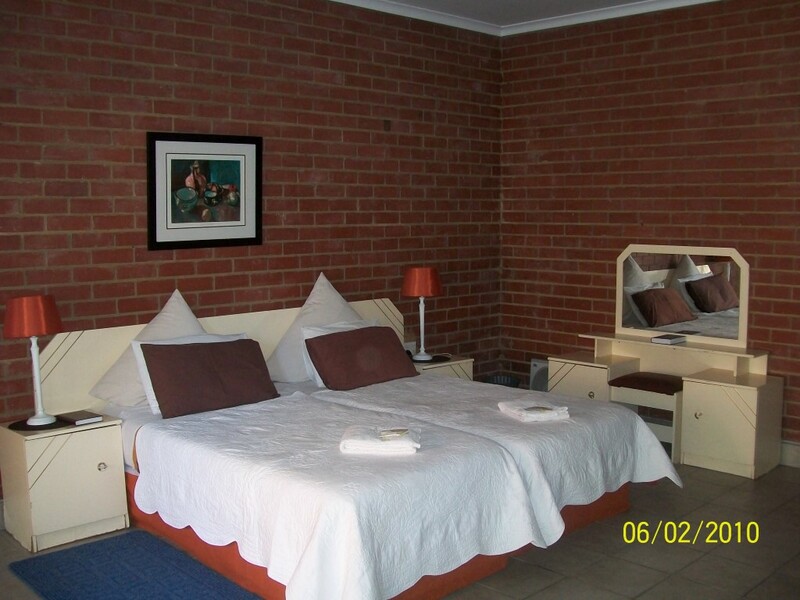 The two additional stacked beds in the lounge makes it ideal as a budget family unit. 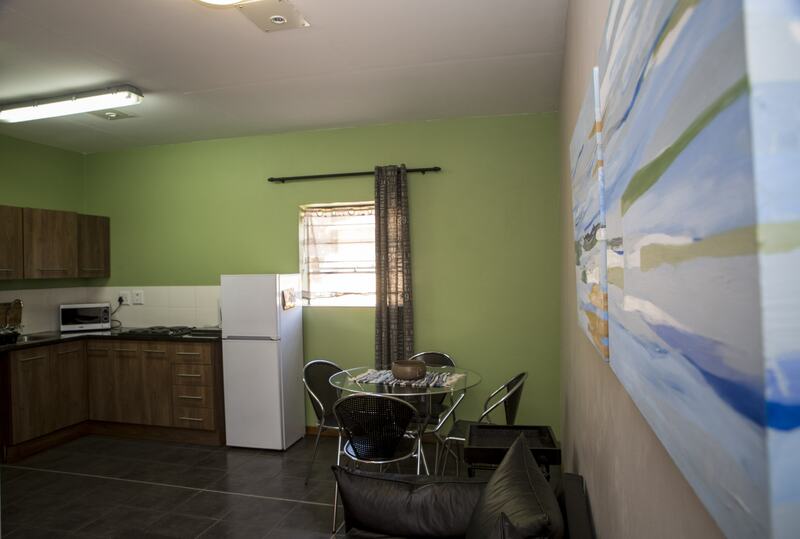 This 1 bedroom bachelor unit has a double bed with a single bed in the open living space, bathroom with shower only, kitchenette with full fridge. 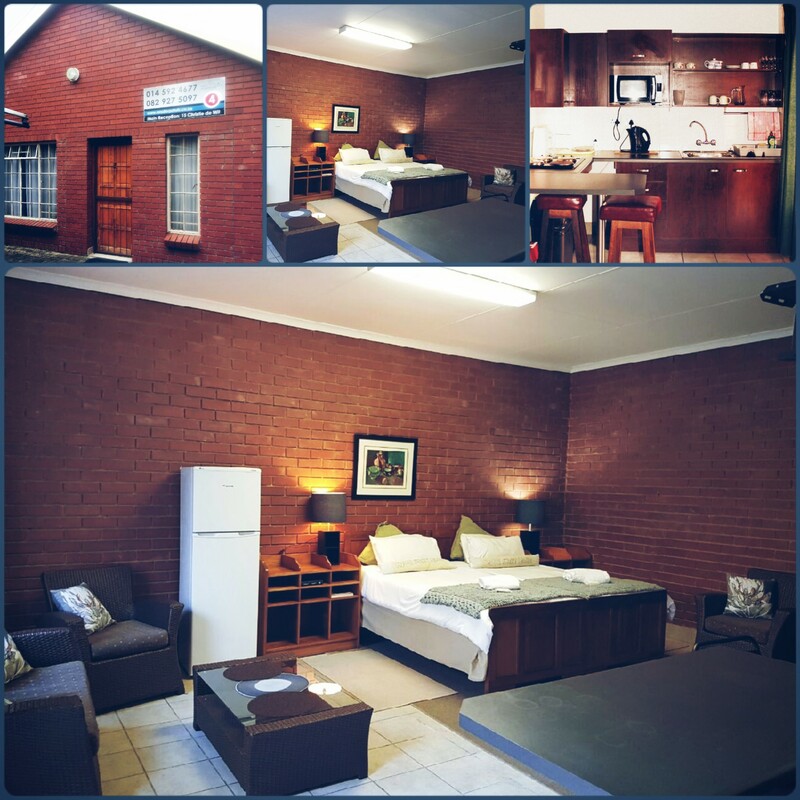 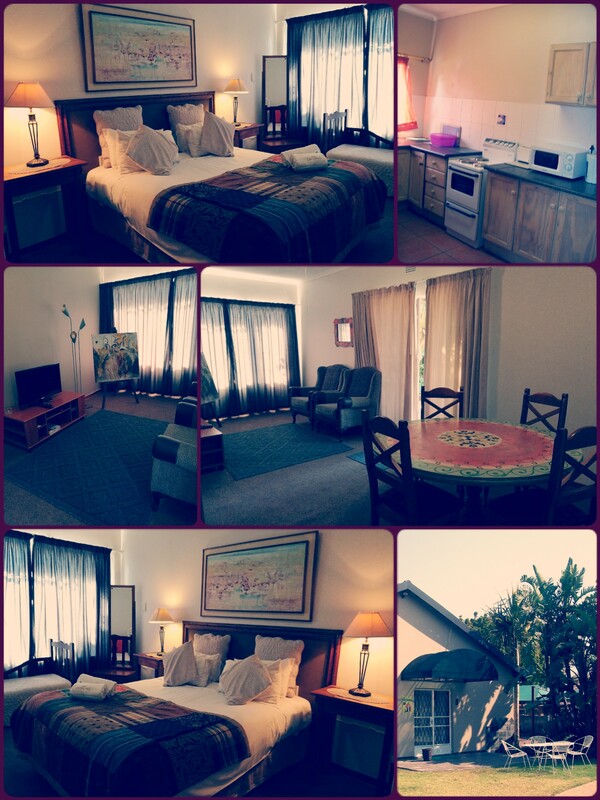 Ideal for friends or family sharing on a short term basis or single individuals on a longer term basis. 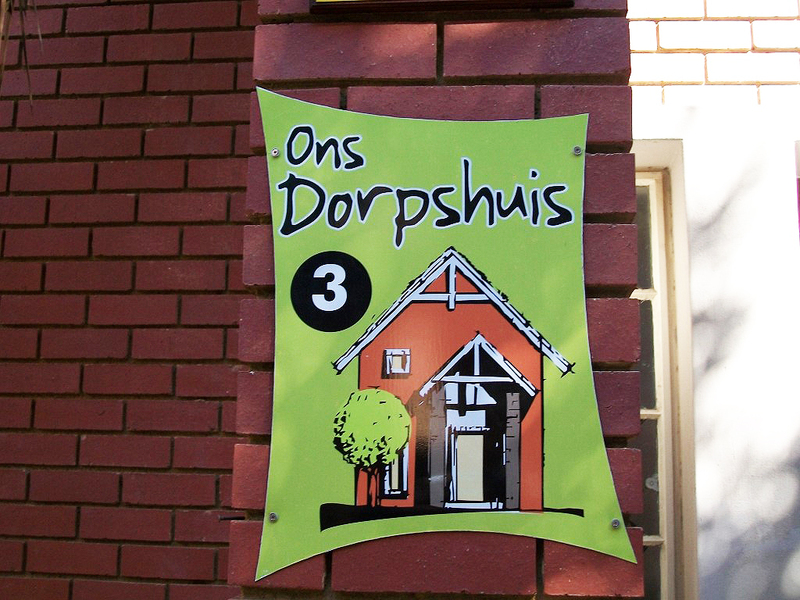 This beautiful three bedroom house was built from plan and is on the same stand as Ons Dorpshuis 1 and 3. 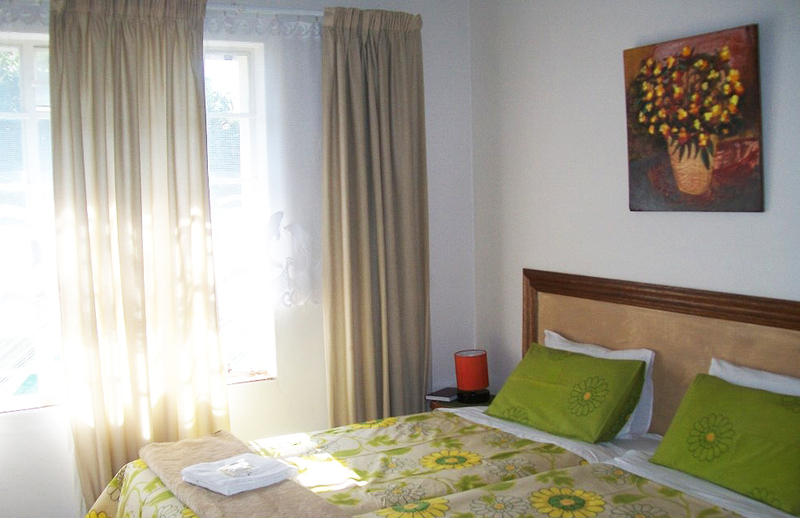 It is ideal for groups of colleagues, family or friends as a short term or overnight option. 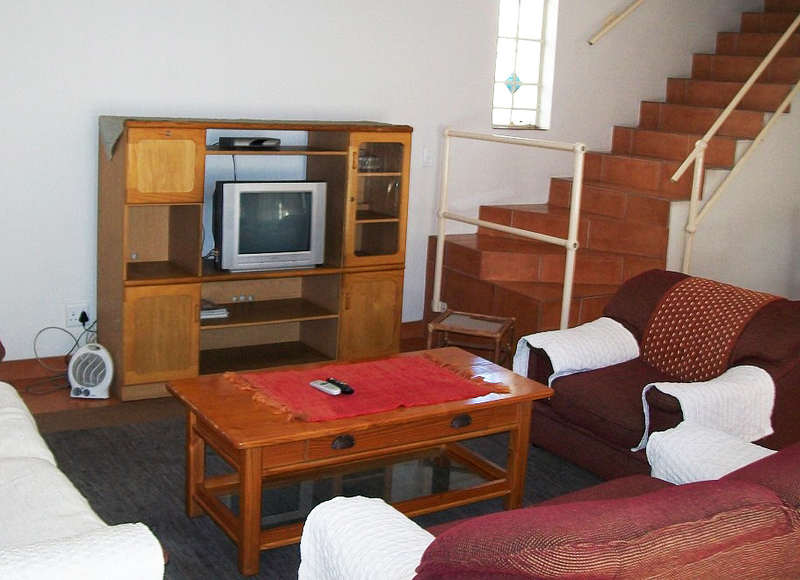 This house is one of the favourites for guests wanting a furnished house for long term. 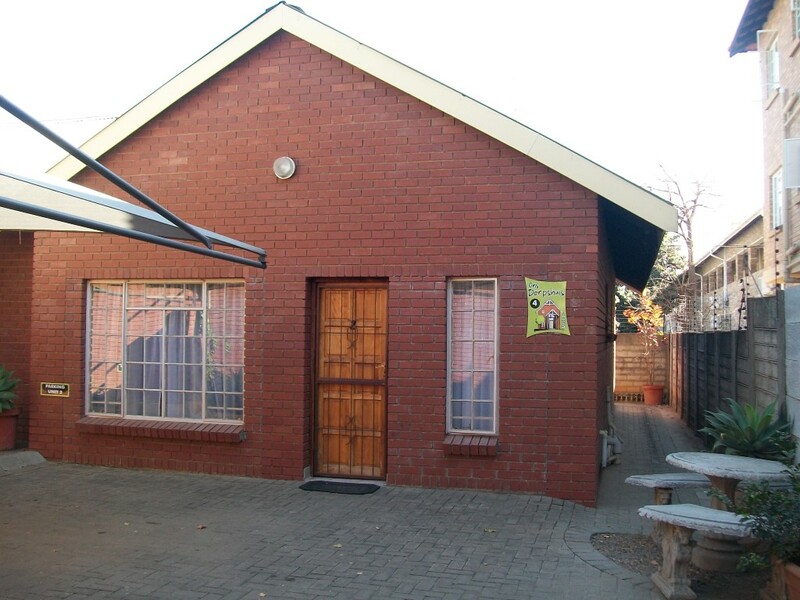 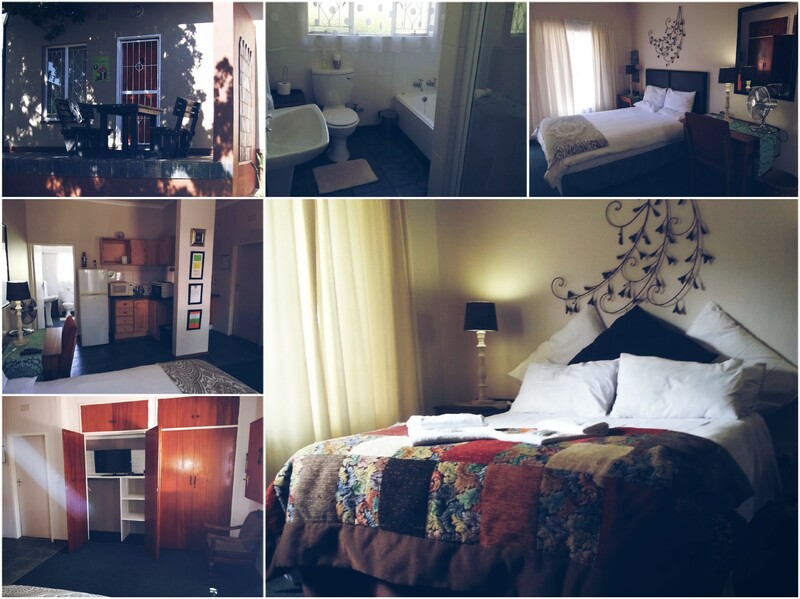 3 Bedrooms with twin beds in each room (total of 6 single beds), 2 bathrooms, separate toilet, full kitchen, dining area, living area / lounge and a private garden with braai outside. 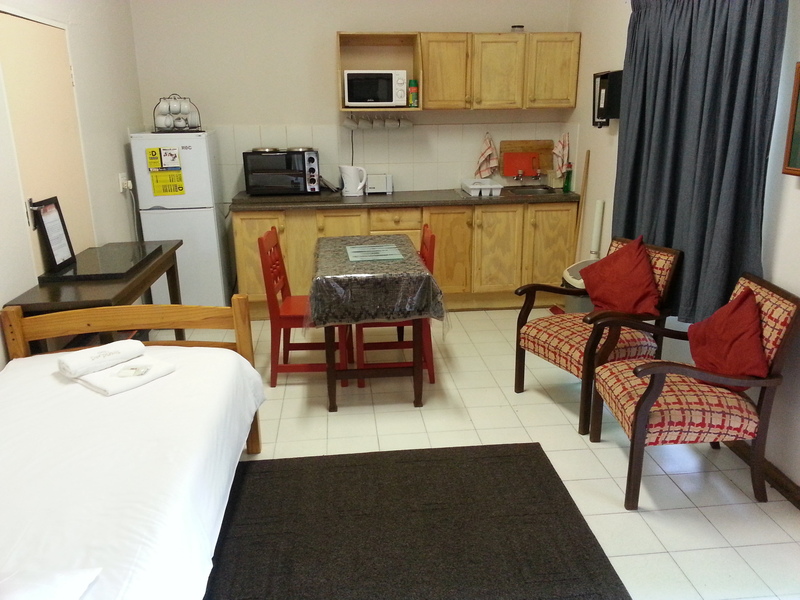 This 1 bedroom bachelor unit has twin beds in an open living space, bathroom with shower only, kitchenette with fridge. 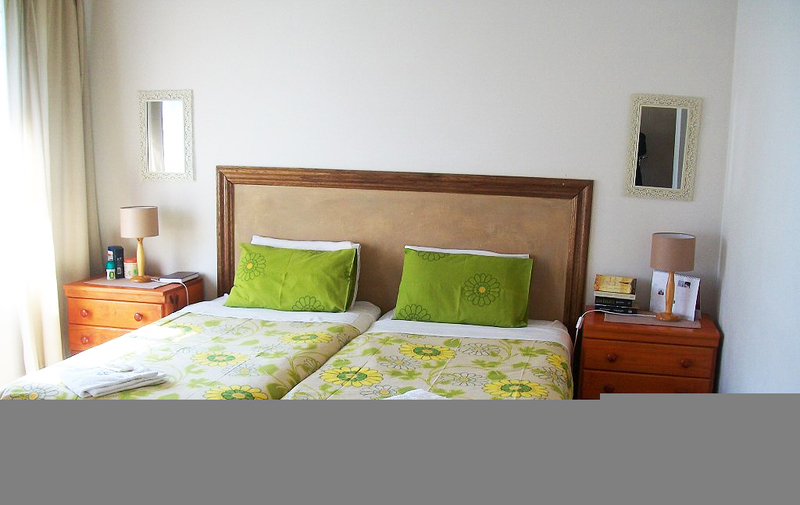 Ideal for friends or family sharing on a short term or long term basis. 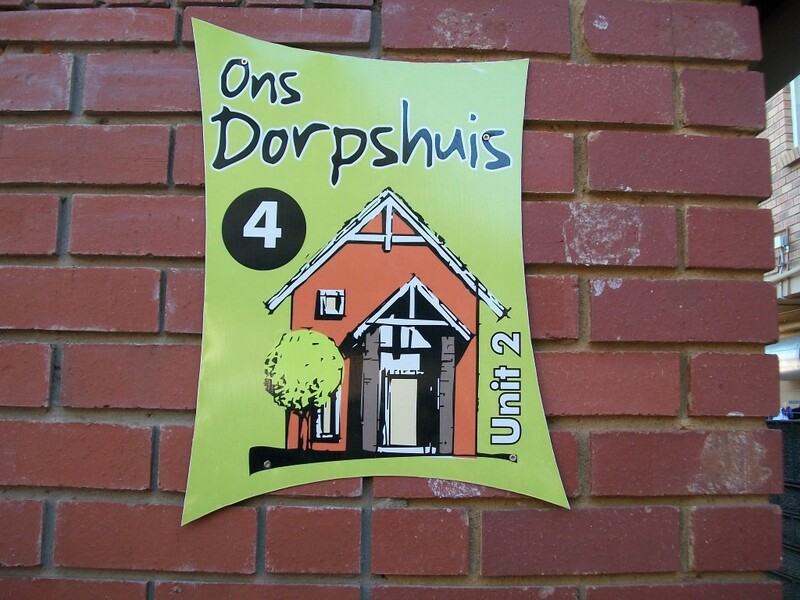 This beautiful double storey, three bedroom house was built from plan and is on the same stand as Ons Dorpshuis 1 and 4. 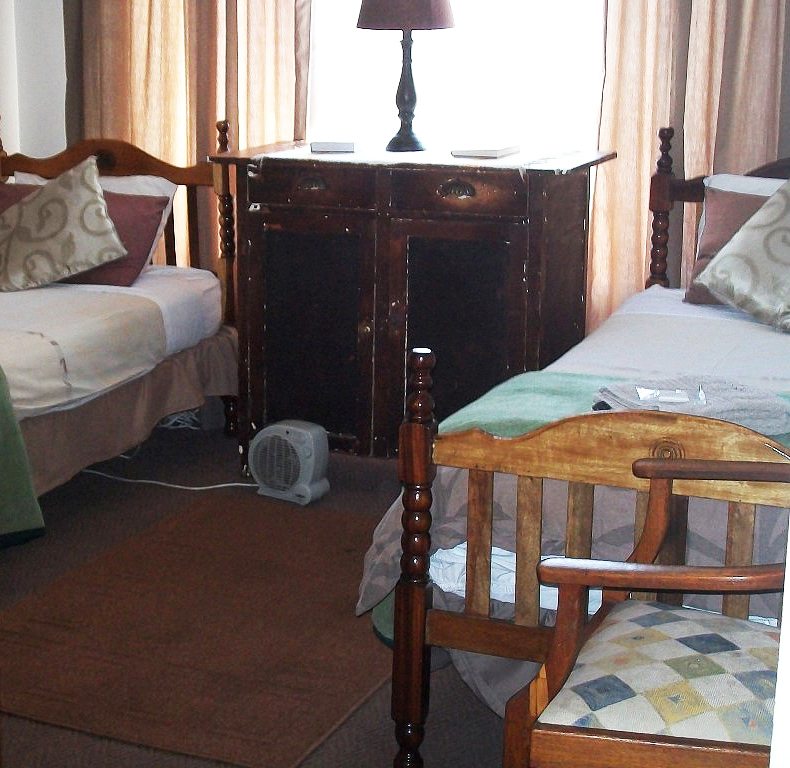 It is ideal for groups of colleagues, family or friends as a short term or overnight option. 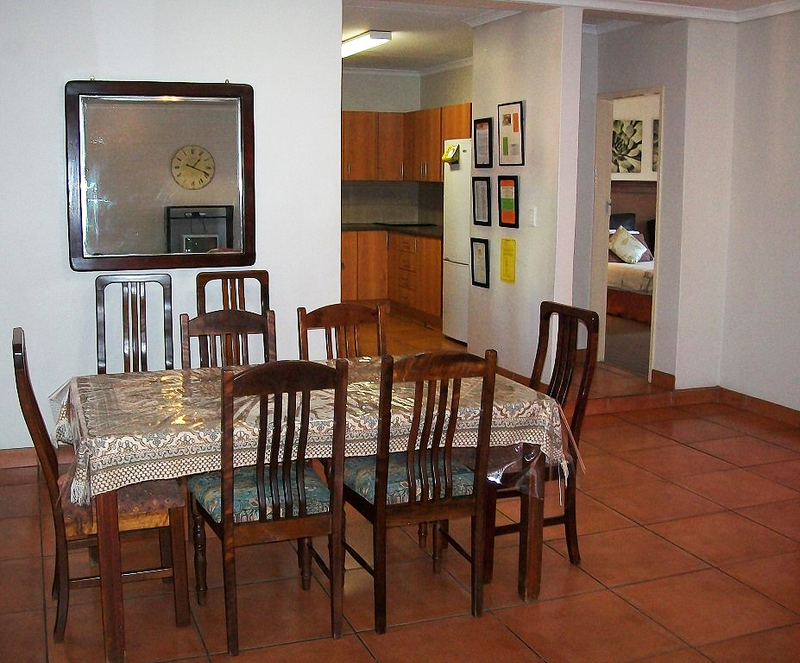 This house is one of the favourites for guests wanting a furnished house for long term. 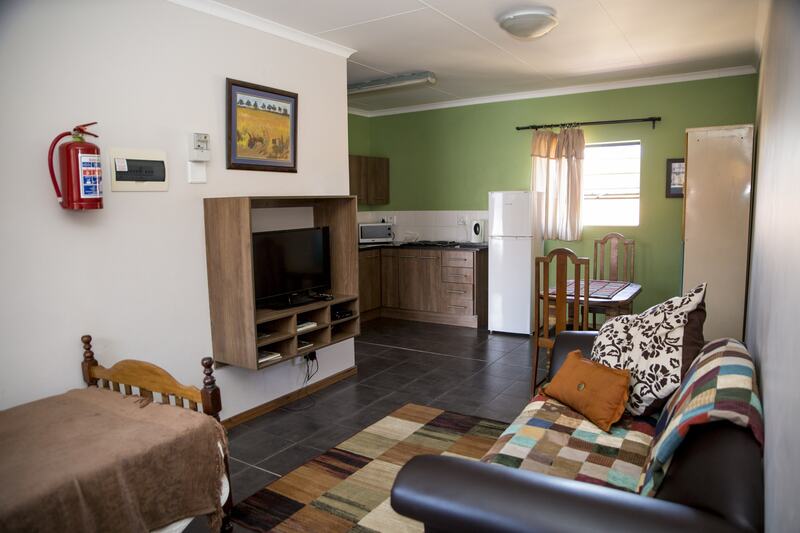 3 Bedrooms with twin beds in each room (total of 6 single beds), 2 bathrooms, separate toilet, full kitchen, dining area, living area / lounge and a private garden with braai outside.